Back in October, Square Enix put on the Assassin's Festival in Final Fantasy 15, letting players pick up gear and costumes inspired by the Assassin's Creed series for Noctis and crew. Now it's time for Ubisoft to offer its side of the crossover. Ubisoft recently released notes for Assassin's Creed: Origins‘ December update. 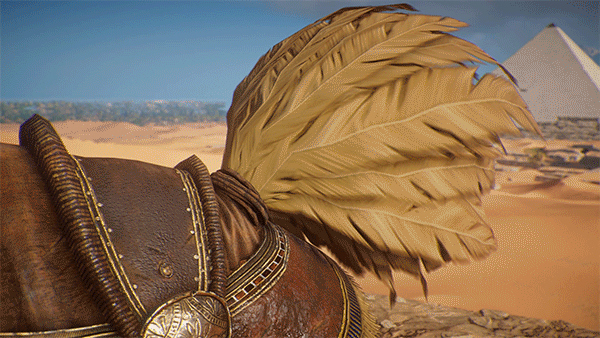 The update will add a brand-new quest that looks to offer up a Chocobo-inspired horse for Bayek to ride around Egypt. The update adds the third of the Trials of the Gods, pitting Bayek against three Egyptian deities. 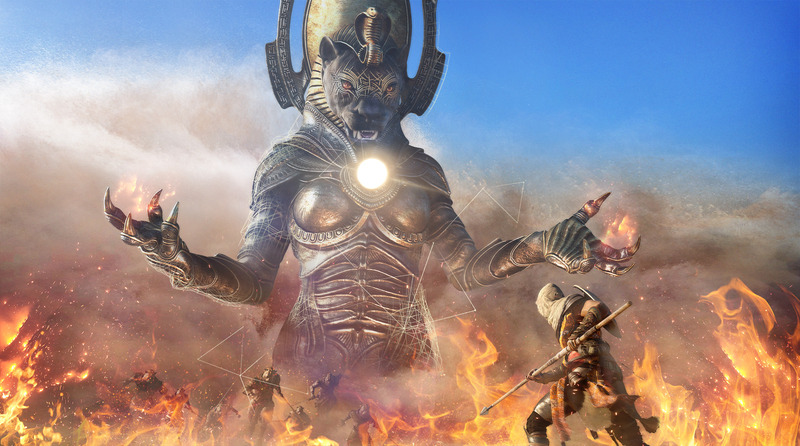 Anubis and Sobek were in November, and the final fight is against Sekhmet, the warrior goddess. Players who missed the first two fights will also get the chance to take them down. This patch also brings with it a new Nightmare difficulty mode, an enemy level-scaling option for the entire game, and a brand-new, gladiator-based Horde Mode. “The event quest, Here Comes a New Challenger, will introduce you to Horde mode to satisfy your warrior longings. You can prove yourself in the Cyrene arena against unlimited waves of foes. We recommend Level 32 or higher,” says Ubisoft. The Gladiator Items Pack comes on December 12 with some gladiator-theme gear for Bayek, while the Wacky Items Pack will fit right in with the game's bath towel costume. There is currently no set date for the December update to drop on any platform. Assassin's Creed: Origins is currently available on PC, Xbox One, and PlayStation 4.